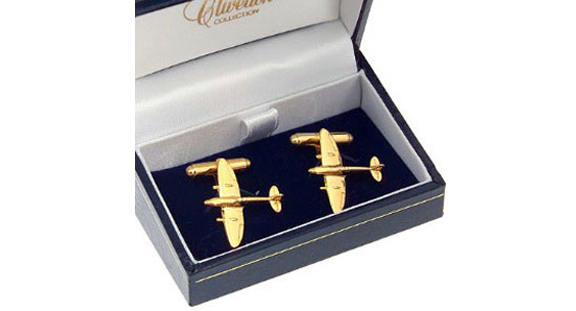 Spitfire Cufflinks Gold – For the Spitfire enthusiast on those special occasions. Elegant 22 carat gold plate cufflinks with easy-to-use 'American' style toggle. Supplied in a smart jewellery box. The perfect way to celebrate the 80th anniversary of the Spitfire test flight in 1936. Spitfire Cufflinks Gold - For the Spitfire enthusiast on those special occasions. Elegant 22 carat gold plate cufflinks with easy-to-use 'American' style toggle. Supplied in a smart jewellery box.